‘Got rats?’ Some say they make the ideal small pet. Minerva the rat poked her head out of the fleece hammock and sniffed the air, her tiny pink nose twitching, framed by delicate white whiskers. 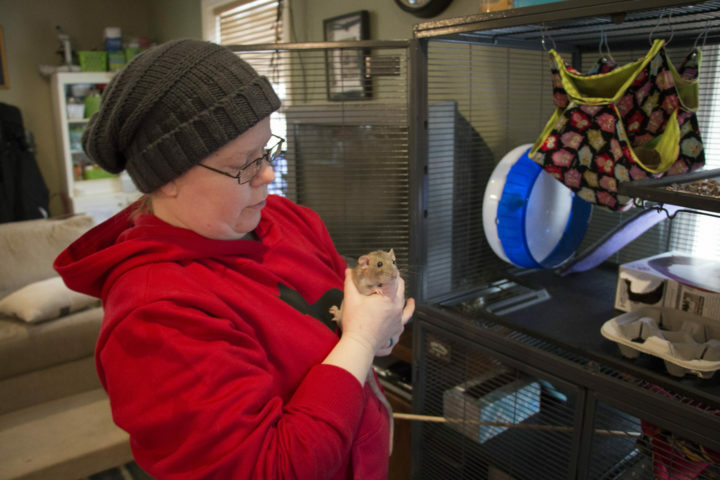 Her owner, Shea Rolnick of Winterport, held a spoon displaying four dabs of peanut butter — one for each of her rats. Tempted by the treat, Minerva extracted herself from her slumbering companions and slid out of the hammock, her long, bald tail trailing behind her as she ran down a ramp in her cage to greet Rolnick.